CEOs from Liberty Property, Brandywine Realty and PREIT give forecast for the future of commercial real estate in Greater Philadelphia. 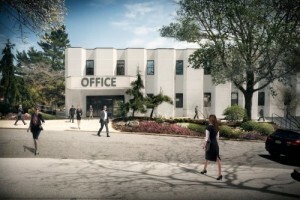 Office: The new trend toward more modern and open work spaces will continue to drive demand for new office construction. With city residency and millenial retention rising, the downtown area could become attractive to larger companies seeking to establish a downtown headquarters. New construction will present the challenge and opportunity of re-purposing older office stock from the 1980s. Retail: The retail sector has moved from opening stores and collecting rents to creating holistic experiences for consumers. The internet has not signaled the death of traditional retail, with web sales still less than 10% of bricks and mortar sales. The trend toward online purchasing also presents positive opportunities for cross-marketing of traditional retailers. As online sales increase, new distribution channels will have real estate needs to fill (i.e., warehousing and logistics). Challenges: Political uncertainty in Harrisburg and concern over the direction of taxes and public policy are the biggests challenges to commercial real estate in Greater Philadelphia. To learn more about the future of commercial real estate in Greater Philadelphia please visit the Website of Wolf Commercial Real Estate. Wolf Commercial Real Estate is a Philadelphia commercial real estate broker that provides a full range of Philadelphia commercial real estate listings and services, marketing commercial offices, medical properties, industrial properties, land properties, retail buildings and other Philadelphia commercial properties for buyers, tenants, investors and sellers. Please visit our websites for a full listing of Philadelphia commercial properties for lease or sale through our Philadelphia commercial real estate brokerage firm. Wolf Commercial Real Estate, a leading Philadelphia commercial real estate broker that specializes in Philadelphia commercial real estate listings and services, is now offering premier Philly office space for lease at 1 Winding Drive Philadelphia PA. Located in the Monroe Office Center, this Philadelphia office space for lease features suites in various sizes that are ideal for any professional office or medical use. There is between 1,325 square feet and 71,000 square feet of divisible professional office space in Philly at this Philadelphia office building for lease. The asking lease price for this professional office space in Philadelphia is $16.00 sf modified gross plus electric. Wolf Commercial Real Estate, a Philadelphia commercial real estate brokerage firm that specializes in Philadelphia commercial real estate listings and services, is the exclusive leasing agent for the Monroe Office Center at 1 Winding Drive Philadelphia PA. This Philly office space for lease is owned and managed by Post Brothers, which is now headquartered in the Monroe Office Center. Other tenants in this Philly office building for lease include DYK Automotive, LLC, an affiliate of Atlantic Pacific Automotive, and VT Cellular, LLC, a dealer affiliate for Metro PCS. This professional office space in Philly at 1 Winding Drive Philadelphia PA is a two-story, elevator-served Philadelphia office building for lease that is located in a secured park-like setting within the Presidential apartment complex just off City Line Avenue on the Philadelphia side of the street. The Presidential City apartment community is currently in the midst of a complete renovation and repositioning. Once completed, Presidential City will be a first-class town-center community offering an excellent retail, living and work environment. The entire complex will offer ultramodern surroundings and contemporary designs throughout. The Philadelphia office space for lease in the Monroe Office Center at 1 Winding Drive Philadelphia PA features efficient floor layouts and suites that can be fully customized per tenant specs. There is 24-hour staffed gatehouse security at this professional office space in Philadelphia. Suites in this Philly office building for lease are available for immediate occupancy exclusively through Wolf Commercial Real Estate, a Philadelphia commercial real estate brokerage firm that specializes in Philadelphia commercial real estate listings and services. At a ratio of 4/1,000 sf, there is ample free parking in the on-site parking garage at this Philadelphia office building for lease. Signage also is available to tenants at this professional office space in Philly. Located just off City Line Avenue, this Philly office building for lease in the Monroe Office Center at 1 Winding Drive Philadelphia PA is situated immediately off an exit of I-76 (the Schuylkill Expressway). This Philadelphia office space for lease is within walking distance of numerous retail centers, restaurants and hotels. This professional office space in Philadelphia is convenient to Center City Philadelphia, the Philadelphia International Airport, Manayunk, King of Prussia and New Jersey via numerous Delaware River bridges. This Philadelphia office building for lease also has easy access to SEPTA public transportation and train service. For more information about this Philly office space for lease in the Monroe Office Center at 1 Winding Drive Philadelphia PA or about any other Philadelphia commercial properties for sale or lease, please call 215-799-6900 to speak with Jason Wolf (jason.wolf@wolfcre.com) or Leor Hemo (leor.hemo@wolfcre.com) at Wolf Commercial Real Estate, the foremost Philadelphia commercial real estate broker. Wolf Commercial Real Estate, a premier Philadelphia commercial real estate brokerage firm with expertise in Philadelphia commercial real estate listings and services, now has available prime Philly office space for lease in the Monroe Office Center at 1 Winding Drive Philadelphia PA. This Philadelphia office space for lease features suites ranging in size from 2,000 to 71,000 square feet of divisible Philly office space for lease. The asking lease price for this professional office space in Philadelphia is $16.00 sf modified gross plus electric. Wolf Commercial Real Estate, a Philadelphia commercial real estate broker that specializes in Philadelphia commercial real estate listings and services, was appointed exclusive leasing agent for the Monroe Office Center at 1 Winding Drive Philadelphia PA in June. This Philadelphia professional office space for lease is owned by Post Brothers, which has relocated its headquarters to approximately 15,000 square feet in the Monroe Office Center. Among other tenants that have recently leased space in this Philadelphia office building for lease at 1 Winding Drive Philadelphia PA are DYK Automotive, LLC, an affiliate of Atlantic Pacific Automotive, and VT Cellular, LLC, a dealer affiliate for Metro PCS. This two-story, elevator-served Philadelphia office space for lease is located within the Presidential City Complex on the Philadelphia side of City Line Avenue. This professional office space in Philadelphia is directly across from the desirable Bala Cynwyd submarket and immediately off the I-76 exit at Presidential Boulevard. At a ratio of 4/1,000 sf, parking in the two-and-one-half-level structure at this Philadelphia professional office space for lease is ample. This Philadelphia office building for lease at 1 Winding Drive Philadelphia PA in the Monroe Office Center offers tenants highly efficient suite layouts. There also is secured 24/7 gate access at this professional office space in Philadelphia. Suites in this Philadelphia office building for lease are available for immediate occupancy exclusively through Wolf Commercial Real Estate, a Philadelphia commercial real estate brokerage firm that specializes in Philadelphia commercial real estate listings and services. Tenants in this Philadelphia professional office space for lease will be within the premier walkable town center environment at Presidential City Complex with access to numerous upscale residential communities, retail centers, restaurants, hotels, and other nearby amenities. For more information about this Philadelphia office space for lease in the Monroe Office Center at 1 Winding Drive Philadelphia PA or about any other Philadelphia commercial properties for sale or lease, please call 215-799-6900 to speak with Jason Wolf (jason.wolf@wolfcre.com) or Leor Hemo (leor.hemo@wolfcre.com) at Wolf Commercial Real Estate, a leading Philadelphia commercial real estate broker. While the national economy was affected by turmoil in the global markets, the Philadelphia commercial real estate market continued its progress for another quarter, according to the latest quarterly analysis from Wolf Commercial Real Estate, a premier Philadelphia commercial real estate broker that specializes in Philly commercial real estate listings and services, including Philly office space and other Philadelphia commercial properties. According to the report issued by Wolf Commercial Real Estate, a Philadelphia commercial real estate brokerage firm with expertise in Philadelphia commercial real estate listings and services, including Philadelphia office space and other Philly commercial properties, this repositioning also covers the latest coup for the GROW NJ program, a recently announced 1.7 million square-foot mixed use development along the waterfront in Camden, NJ. The full report is available upon request from Wolf Commercial Real Estate, a Philly commercial real estate brokerage firm with expertise in Philly commercial real estate listings and services, including Philadelphia office space and other Philadelphia commercial properties. For more information about Philly office space, Philly retail space or any Philly commercial properties, please contact Jason Wolf (856-857-6301; jason.wolf@wolfcre.com) or Leor Hemo (856-857-6302; leor.hemo@wolfcre.com) at Wolf Commercial Real Estate, a Philadelphia commercial real estate broker. Wolf Commercial Real Estate is a premier Philly commercial real estate broker that provides a full range of Philadelphia commercial real estate listings and services that include Philadelphia office space and other Philadelphia commercial properties. Wolf Commercial Real Estate markets commercial offices, medical properties, industrial properties, land properties, retail buildings and other Philly commercial properties for buyers, tenants, investors and sellers. Please visit our websites for a full listing of Philadelphia commercial properties for lease or sale through our Philadelphia commercial real estate brokerage firm. Office space in Philadelphia is springing up with many major real estate developments, and Center City is undeniably at its center. For a couple of years, the city has been observing the development of level it hasn’t seen since the construction of Liberty Place towers during the late 1980s. And the same trend will continue for next few years. So says the latest Center City Development report on office space in Philly prepared by CenterCityPhila.org. Be it Philadelphia commercial properties, Philadelphia commercial real estate or Philadelphia commercial real estate listings, every sector is being transformed with a number of new Philadelphia office space projects. The CenterCityPhila.org report features over 60 ambitious Philly office space projects of different sectors proposed to be built between 2014 and 2018. Some have already been completed, many are under way, and some are yet to begin. But undoubtedly, this development phase will change the Philly and life here forever and for better. Some of the most eye-catching projects involving office space in Philadelphia are Comcast Innovation & Technology Center, a 1,121 feet tall skyscraper; Children’s Hospital of Philadelphia at South Street, which will house a research staff of 1000+; a 51-story hotel building with 460 rooms divided among two hospitality brands; Penn’s Landing Park, spanning across 11 acres; Renaissance Plaza, a residential complex of 1,398 units, and many more. With all the new Philadelphia office space projects under way, certainly a huge number of employment opportunities will be created in time to come. This in effect will attract thousands of people to the City of Brotherly Love from not just the US but from across the world, all looking for Philadelphia commercial properties, Philadelphia commercial real estate and Philadelphia commercial real estate listings. Meanwhile, there are plenty of alluring Philly office space opportunities for real estate investors in Philadelphia, especially in the residential sector. However, it isn’t just the pace of construction of office space in Philly that has picked up recently that fascinates investors. There are many other factors that make Philadelphia an ideal place to develop and invest in real estate properties. For more information about Philadelphia office space or any Philadelphia commercial properties, please call 215-799-6900 to speak with Jason Wolf (jason.wolf@wolfcre.com), Leor Hemo (leor.hemo@wolfcre.com) or Lee Fein (lee.fein@wolfcre.com) at Wolf Commercial Real Estate, a premier Philadelphia commercial real estate broker that specializes in office space in Philly. Wolf Commercial Real Estate, a Philadelphia commercial real estate broker with expertise in Philadelphia commercial real estate listings and services, provides unparalleled expertise in matching companies and individuals seeking new Philadelphia office space with the Philadelphia commercial properties that best meets their needs. As experts in Philadelphia commercial real estate listings and services, the team at our Philadelphia commercial real estate brokerage firm provides ongoing detailed information about Philadelphia commercial properties to our clients and prospects to help them achieve their real estate goals. If you are looking for Philly office space for sale or lease, Wolf Commercial Real Estate is the Philadelphia commercial real estate broker you need — a strategic partner who is fully invested in your long-term growth and success. Wolf Commercial Real Estate, a leading Philadelphia commercial real estate broker that specializes in Philadelphia commercial real estate listings and services, is now offering premier Philadelphia office space for lease in the Monroe Office Center at 1 Winding Drive Philadelphia PA. This Philadelphia office building for lease will have suites that range in size from 1,325 to 71,000 square feet of divisible Philadelphia PA office space for lease. The asking lease price for this Philadelphia professional office space for lease is $16.00 sf modified gross plus electric. 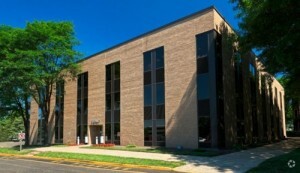 This Philadelphia office space for lease in the Monroe Office Center at 1 Winding Drive Philadelphia PA is available for immediate occupancy through Wolf Commercial Real Estate, a Philadelphia commercial real estate brokerage firm that specializes in Philadelphia commercial real estate listings and services. This Philadelphia professional office space for lease is a two-story, elevator-served office building within the Presidential City Complex. This Philadelphia office building for lease at 1 Winding Drive Philadelphia PA is located on the Philadelphia side of City Line Avenue and this Philadelphia PA office space for lease is immediately off the I-76 edit at Presidential Boulevard. This Philadelphia office space for lease features highly efficient suite layouts. There is secured 24/7 gate access near this Philadelphia professional office space for lease through Wolf Commercial Real Estate, a Philadelphia commercial real estate broker that specializes in Philadelphia commercial real estate listings and services. There is 4/1,000 sf of parking in a two-and-one-half-level structure at this Philadelphia office building for lease in the Monroe Office Center at 1 Winding Drive Philadelphia PA. Tenants of this Philadelphia PA office space for lease will be within a premier walkable town center environment. For more information about this Philadelphia office space for lease in the Monroe Office Center at 1 Winding Drive Philadelphia PA or about any other Philadelphia commercial properties for sale or lease, please call 215-799-6900 to speak with Jason Wolf (jason.wolf@wolfcre.com) or Leor Hemo (leor.hemo@wolfcre.com) at Wolf Commercial Real Estate, a Philadelphia commercial real estate brokerage firm that specializes in Philadelphia commercial real estate listings and services. The Philly office space vacancy rate rose in the first quarter 2015, closing the quarter at 10.8%, according to a new market report from the CoStar Group. The vacancy rate for office space in Philadelphia in the first quarter was an increase over the previous quarter, the CoStar Group’s First Quarter 2015 Market Report noted. Net absorption was negative 386,143 square feet of office space in Philly for the first quarter, compared to positive 378,460 square feet of Philadelphia office space in the fourth quarter, CoStar said. Vacant sublease space in the market for office space in Philadelphia was up in the first quarter, closing at 1,306,325 square feet of Philly office space, CoStar added. Among tenants moving into large blocks of office space in Philly in 2015 were: Incyte Corporation, moving into 191,056 square feet of Philly office space at 1801 Augustine Cut Off; and National Penn Insurance Services, moving into 126,369 square feet of office space in Philadelphia at 645 West Hamilton Street, the report noted. Philadelphia office space rental rates ended the quarter at $21.89, an increase over the fourth quarter, according to the report. Seven buildings were delivered to the market for office space in Philly in the first quarter, CoStar reported. That tally added 145,650 square feet of Philly office space to the market. Another 2,602,750 square feet of office space in Philadelphia remained under construction at the end of the first quarter, CoStar said. Comparatively, national office vacancies dropped to 10.9% in the first quarter, CoStar reported. Net absorption was positive 15.4 million square feet for the quarter, the report noted. Average rental rates increased to $22.74 and 244 office buildings delivered in the quarter, bringing more than 16.5 million square feet to the national market, according to CoStar. 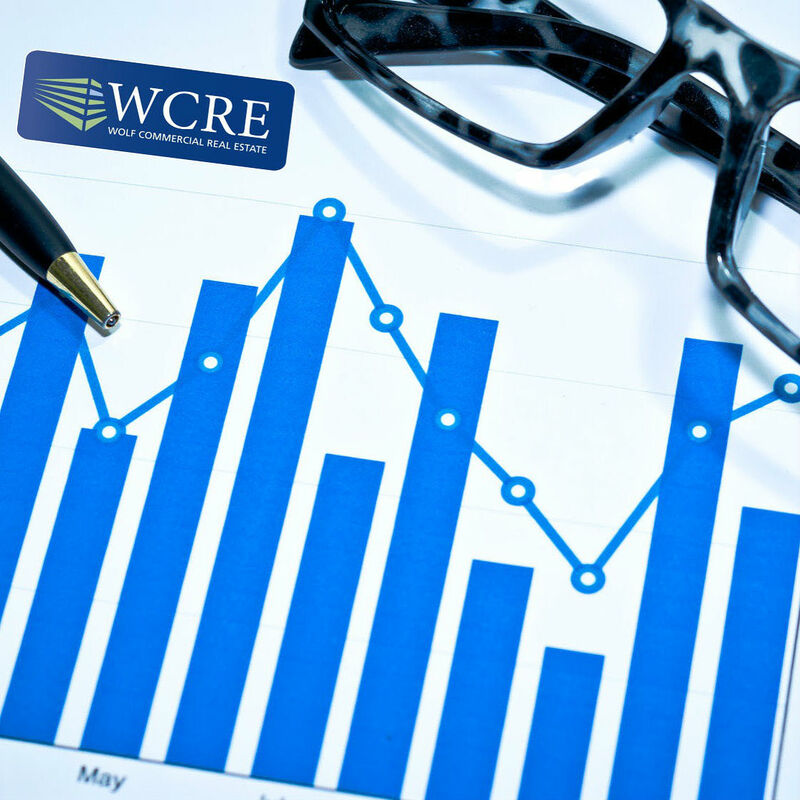 Maintaining the momentum it experienced in fourth quarter 2014, the South Jersey commercial real estate market started 2015 on a strong note, according to a new market report from Wolf Commercial Real Estate, a premier Philadelphia commercial real estate broker that specializes in South Jersey and Philly commercial real estate listings and services, including Philly office space and other Philadelphia commercial properties. The latest quarterly analysis by the Philly commercial real estate brokerage firm found that some challenges remain in the marketplace, but that the Garden State’s overall office space market has been bolstered in the first quarter by major healthcare institutions, investors and large tenants. The report underscores significant moves announced and/or anticipated by key players in the South Jersey office market, including Virtua’s plan to relocate to a 62,000-square-foot office this fall and the sale of two Brandywine Realty Trust trophy assets to out-of-market investors — Libertyview and 1000 Atrium Way. The two buildings totaled 221,405 square feet, selling for an average of about $134/sf. The first quarter saw a 7% increase in new leases and renewals, according to the report issued by Wolf Commercial Real Estate, a Philadelphia commercial real estate brokerage firm with expertise in South Jersey and Philadelphia commercial real estate listings and services, including Philadelphia office space and other Philly commercial properties. Executed transactions rose from 441,141 square feet in the first quarter a year ago to approximately 472,154 square feet in this first quarter 2015, the firm said. New tenant leases amounted to approximately 186,427 square feet, while renewals and expansions stood at approximately 285,727 square feet in the state’s southern office market, the Philly commercial real estate broker said. New leasing activity represented approximately 39.5% of deals in the first quarter. Overall, gross absorption for first quarter was in the range of approximately 255,161 square feet. Beyond the closed transactions, a pipeline of approximately 450,000 square feet of noteworthy South Jersey lease deals stood ready to close in the near future. GROW NJ continues to draw businesses to the state, the Philly commercial real estate broker said. In the first two months of 2015 alone, 10 projects were approved for $84.6 million in funding. 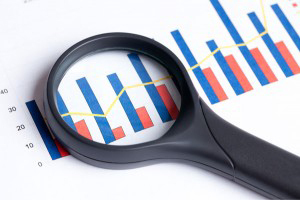 Overall vacancies in the South Jersey commercial real estate market continued to decrease, and are now down to approximately 13.6 percent, an improvement over the fourth quarter 2014. Average rents for Class A & B product in the office market continue to show strong support in the range of $10.00-$14.00/sf NNN or $21.00-$24.00/sf gross, with an overall market average showing strong support in the $10.00-$12.00/sf NNN or $20.00-$22.00/sf gross for the deals completed during the first quarter. Rents remained stable. All major private owners and REITS showed moderate leasing and prospect activity for the quarter. As vacancies tightened in Burlington County, many larger vacancy opportunities are also shifting toward Camden County, which is not controlled by these ownership entities. Overall retail vacancy in South Jersey’s tri-county area was lingering at about 10.5%, a slight increase from the previous quarter, but still encouraging in comparison to recent years. Class A retail product rental rates maintained strong support in the range of $30.00-$40.00/sf NNN, as rents remained steady. National chains experiencing growth were responsible for much of the demand for local space, while smaller retailers and local based retailers continued to struggle. The full report is available upon request from Wolf Commercial Real Estate, a Philly commercial real estate brokerage firm with expertise in South Jersey and Philly commercial real estate listings and services, including Philadelphia office space and other Philadelphia commercial properties. For more information about Philly office space or any Philly commercial properties, please contact Jason Wolf (856-857-6301; jason.wolf@wolfcre.com), Leor Hemo (856-857-6302; leor.hemo@wolfcre.com), Christina Del Duca (856-857-6304; christina.delduca@wolfcre.com), Todd Levin (856-857-6319; todd.levin@wolfcre.com), Scott Seligman (856-857-6305; scott.seligman@wolfcre.com) or Christopher Henderson (856-857-6337; chris.henderson@wolfcre.com at Wolf Commercial Real Estate, a Philadelphia commercial real estate broker. Wolf Commercial Real Estate is a premier Philly commercial real estate broker that provides a full range of South Jersey and Philadelphia commercial real estate listings and services that include Philadelphia office space and other Philadelphia commercial properties. Wolf Commercial Real Estate markets commercial offices, medical properties, industrial properties, land properties, retail buildings and other South Jersey and Philly commercial properties for buyers, tenants, investors and sellers. Please visit our websites for a full listing of Philadelphia commercial properties for lease or sale through our Philadelphia commercial real estate brokerage firm.